The official Nokia blog is truly a great place to stop by if you just purchased a Nokia Lumia handset, or are planning to. This time around Trevor, over at the Nokia Conversations page, has posted a list of 30 applications that he can’t live without on the Nokia Windows Phone. Of course, some applications, like Nokia Maps, are exclusive to Nokia Lumia devices, while others like Facebook are most likely the first apps users download anyway. Most applications in the list are also free, or have free trials, but Trevor emphasizes these are applications he truly would have to be without on his Lumia. Of special note I want to point out a few, but continue reading and you’ll find the entire list of 30 applications recommended by Nokia for their Lumia lineup. I personally recommend Epicurious, IM+, WhatsApp, ESPN Scorecenter, Xbox Companion, Angry Birds, Flight Control, and Plants vs. Zombies as some must have applications. You can upload your Facebook friends straight into the People Hub, but it helps to have the free app too so that you can runyour account in full on the go. Another social network that you can link to your Nokia Windows Phone People Hub, but again, this gives me full control of my @RepublicT account. Everyone uses eBay at some time and whether you are buying or selling, you need to have access 24/7. Now excuse me while I keep an eye on that Brompton bike I’m bidding for. I’m a bit of an Expensify newbie, but since my boss introduced me to it at CES, it has become invaluable. Doesn’t mean I’ll get all of my expenses paid, but it’s helping to keep track of my spending as never before. My colleague Jason introduced me to Evernote, and it has become another recent must-have. IMplus is invaluable for keeping in touch on your Windows Phone via Skype’s instant messaging. It keeps you in the loop when you are on the go. And, for those of you who use Skype as a virtual office, the boss will think you are always working. Another instant messaging app that you can use across platforms. Especially great for keeping in touch with anyone on Blackberry Messaging Service (BBM). Just input your number, accept the terms and conditions and the Windows Phone app will give you a list of contacts already using it. Anyone who travels will find Kayak vital for checking flights and sourcing routes. Don’t leave home without it. Any news junkie will appreciate Pulse with its fully customisable news interface. You can browse by source or subject and get your fix of everything that’s in the news mix. If you never book a hotel room without first consulting TripAdvisor, you will almost rule out nightmare travel experiences. I have never stayed in a bad hotel since using this amazing app. Who can live without YouTube? Exactly, nobody. And the Windows Phone app is up there with the best. Another new one for me. But it’s looking like a must for anyone uploading video from their Nokia Lumia phones. As it says on the tin, it’s the first Windows Phone app that allows you to upload your own videos to YouTube, and the only one that lets you transfer your videos from SkyDrive to YouTube. One of the reasons for owning a Nokia Lumia phone has to be the Xbox link. For more details about the app that never stops playing, see our post. Covering a wide range of Sports, this ESPN app could be a one-stop shop for North Americans. And as a Brit with a growing interest in NFL and Baseball, it’s fascinating to try and keep tabs on the news. Amazingly, it also has football (soccer) news. This is my home for British sport, with football, cricket, rugby, golf, tennis, Formula 1 and boxing all well covered. And check out the video section. The BBC is a world-respected source and this app is great for keeping you in touch with breaking news from a place you can trust, especially when you are abroad. Wherever you are in the world, it’s worth having this in your news mix. I still haven’t cracked every level at three stars on the best casual gamer on the planet. So I still find myself having another attempt in a quiet moment. Another old stand-by for me. I was totally hooked when it came out. And again, it’s there if I need it in a moment of boredom. I tend not to play it on planes though. More evidence that you can feed your addiction to the most compelling games ever invented. Who can fail to love this game and its endless challenges? Keep your Tetris skills in shape whenever you feel like it. Perhaps THE best puzzler ever dreamed of. Try it and buy it. Just do it and you’ll keep coming back for more. Beautifully simple and simply the best little platformer on mobiles. Sega’s classic comes into its own on Nokia smartphones as you tilt the screen to get to your goal. A gem of a game, need I say more? A constant companion in the supermarket, Epicurious enables you to find new recipes and buy the ingredients at a glance. The choice of dishes is enough to satisfy the heartiest of appetites. Comes in very handy when you’ve been overdoing the Epicurious app. With choice of activities, Endomondo produces maps of your efforts and keeps track of your achievements. After living with Lumia for nearly four months now, the preloaded apps that come with it are part of my everyday life. They make up the last five of my 30 apps. 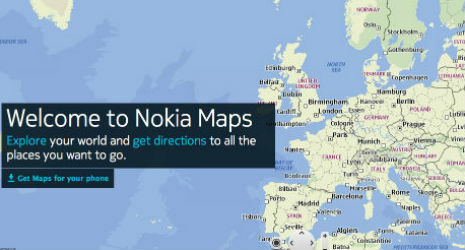 I’m a Nokia Maps convert. It’s the best mapping software I’ve seen on a mobile and I use Nokia Drive to get to my destination whenever I get into the car. I’m using Nokia Music AND I have an all-you-can-eat deal with Zune, but Mix radio is a revelation, with its constantly updating playlists. Finally, the Microsoft Office app is proving really useful, especially OneNote and the SkyDrive with free cloud storage space. Tell us some applications that aren’t on the list that you can’t live without in the comments below!